Written by Lauren Forse on Dec. 3, 2013 . With 2014’s FIFA World Cup looming close, it may be time to book your flights to the capital Cuiaba if you haven’t already. The host city will be accommodating some of the most important matches of the year, while being home to beautiful historical sites and having a huge presence of nature. Next year’s holiday can be fun for all the family with Brazil’s broad range of sights and activities, not to mention the mass of exciting once in a lifetime soccer matches. So bring your friends, family, children, relatives or even all of them for an amazing 2014 experience. Whether you’re a patriotic South African fan or just interested in a holiday, there’ll be something for everyone in Brazil 2014. For those sun-soakers wishing to partake in a relaxing beach holiday, this is the spot for you. Beautiful shores ranging from calm inlets for swimming, sunbathing, diving and sailing to open inlets with strong waves for the ambitious surfers out there. The colonial town, capital of the state of Bahia, is buzzing and friendly with an upbeat music scene and welcoming vibe which is also ideal for children. No expense was spared in the making of this stunning opera house in 1884. In an attempt to recreate the lavish European lifestyle of this century, materials were sourced for the most elite destinations in the world. Furniture was shipped from Paris, marble from Italy, and steels from England. With the rubber trade flourishing in the Amazonian rainforest region, Manaus thrived from the effects. However, shortly after the first performance in January 1897 of the Italian opera La Gioconda, artificial rubber came to popularity, which declined trade and lost the area its main source of income. Teatre Amazonas remained closed for ninety years until it reopened in 2001 as an unlikely venue for some of the best musicians from impoverished countries. Even if you doubt that this music scene is for you, the building is worth a visit for the amazing 36,000 ceramic tiles which decorate the outside dome in the colours of the Brazilian national flag. Lying mostly in Western Brazil but extending to Bolivia and Paraguay, the Pantanal is known as the world’s biggest wetland. A fantastic natural wonder, a visit is virtually a guarantee to witnessing live wildlife. Home to almost everything from monkeys to jaguars, flowers to fish, the Pantanal is an astounding area of ecological beauty. The added beauty is that it is little known and unharmed by modern tourism – make your way over while it’s still pristine. The water wonderland of Brazil, consisting of an unbelievable two hundred and seventy five falls along just under 2 miles of the Igazu River. Of these, the u-shaped Devil’s Throat holds an impressive 82 metre stature, which strikingly marks the border between Argentina and Brazil. Record figures show that the famous river currently has the greatest annual average flow of water in the world, and is both taller and wider than Niagara Falls. Formed from a volcanic eruption which made a crack in the earth, this is an unparalleled natural beauty deservingly placed on the UNESCO World Heritage List. 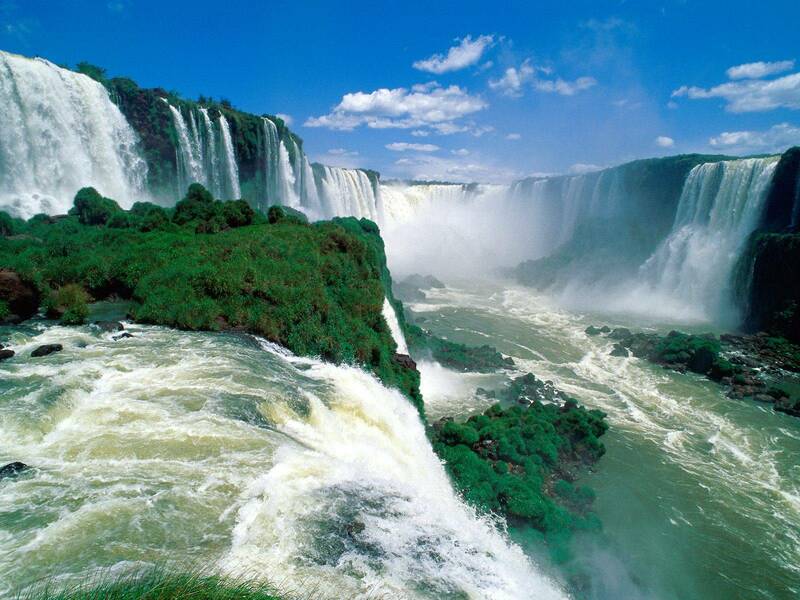 These are just a few of the incredible sites to visit in Brazil. If you can't wait until 2014, why not check out our holiday deals page? We regularly update with new and exciting holiday packages to destinations across the globe. Alternatively, why not call into our office on 011 833 0343 - our staff are eager to help you with all your travel requirements! We also have Facebook and Twitter, so be sure to get in contact with us. The Most Picturesque Areas in the Western Cape.